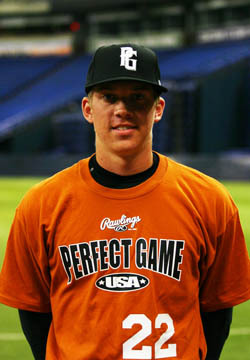 Erik Payne is a 2010 3B/OF with a 6'1'', 188 lb. frame from Richmond, VA who attends Mills Godwin HS. Wide strong shouldered athlete, room to get stronger yet. Smooth swing, wrapped bat to start creates a little length, late bat speed, line drive swing plane, ball comes off bat hard, hits to all fields, should develop lift/power in future. Smooth infield actions, feet are quick and balanced, good first step, arm strength is playable at 3B, 7.10 runner. He should be followed. 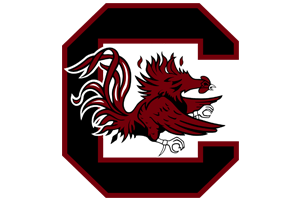 Very good student, verbal to South Carolina.